Sometimes, America seems like a scary place to be. Tensions are running high as the politically-charged divide surrounding the upcoming presidential election seems to be widening. As disheartening at each news cycle can be, there are people hanging on to the hope that the country will pull through. One of those people is Hollywood icon Morgan Freeman. 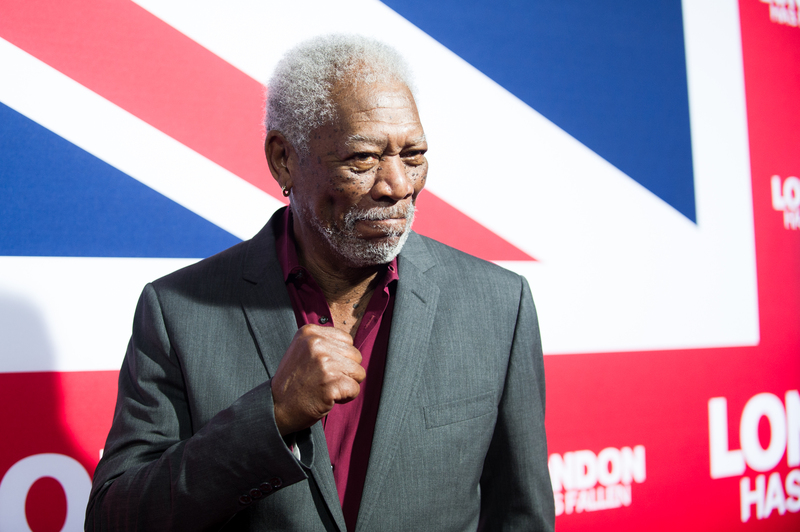 While promoting the remake of the biblical fiction film Ben-Hur in Los Angeles, the actor explained how he’s still optimistic about America in its current state and how movies like this can actually help us all. When asked to reflect on the election, Freeman doesn’t speak to specific candidates, but rather shares insight on the generalities, saying he looks to the future with hope. “Always. This is America. That’s what America means. Hope,” he says. The 79-year-old father of four reveals how he remains positive in such a dark time. “We’re always gonna pull through, eventually, always, we are gonna realize that we really are, as the people, on God’s side,” he says. I can see how all of Freeman’s voice-of-reason roles, including his latest as Judah Ben-Hur’s unlikely savior Sheik Ilderim, aren’t so different from the man himself. There is more story to tell. It does resonate with audiences. There’s a lot of good stuff in this story that informs us, as humans. The idea of redemption, of tolerance, or forgiveness, love. All of that makes us marked to be better people. I want to be able to do that, look my neighbor in the eye and say, ‘I really love you.’ [Laughs] Alright, maybe not love. It’s true that the larger-than-life aspect of some of his characters, like god in 2003’s Bruce Almighty, comes somewhat naturally to the actor. “Divine is not that hard to play, if you want to know the truth of the matter,” he reveals. Part of the ease in playing these roles is refusing to overthink them. “Divine is transcendence, you have to get there. I don’t know if any of us really manage that,” he explains. “Some say, ‘You play God! How did you prepare for that?’ Go to church, maybe? Read the freakin’ script, that’s how you prepare,” he says. Still, he refuses to impose his religious beliefs on anyone. “That’s what you’re gonna decide, I won’t decide it for myself in terms of divinity,” he says. And, he won’t admit just how obviously cool he is. “No, I think if I felt like a ‘cool guy,’ I wouldn’t be thought of as such a cool guy,” he says with a laugh. “[But] Jack Huston, you seen anybody prettier than that guy?,” he says of his co-star. “Golly, he is good-looking.” Won’t fight him there.